World Equestrian Center is home to many diverse horse show events each year. Our events are free and open to the public. The facility is family-friendly and handicap accessible with ample on site parking. Spectators will enjoy the beauty of equestrian sports as well as the on site shopping and dining opportunities at our facility. Well-behaved, leashed dogs are always welcome on the premises. We encourage spectators to bring the whole family to attend our horse show events and learn more about equestrian sports through our facility. We have horse show events happening nearly every week of the year. Please check our calendar of events to see which event might appeal to you. 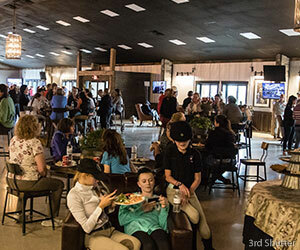 The Wilmington, Ohio facility currently features 28 weeks of World Equestrian Center-owned USEF rated Hunter/Jumper horse shows in three separate Circuits: Spring/Summer, Fall and our popular Winter in the Midwest Series. 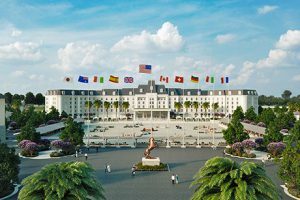 The World Equestrian Center-owned Hunter/Jumper horse shows currently draw equestrians from 41 states and 6 countries, including a large contingent from Canada. 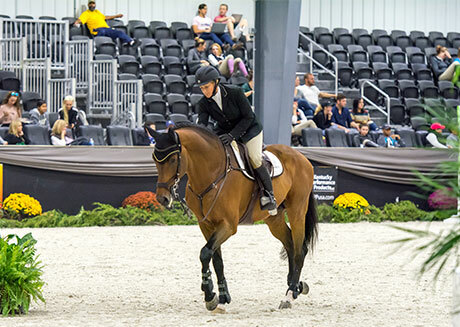 In 2018, the World Equestrian Center will also host the United States Hunter Jumper Association Emerging Athletes Training Session in August and the USHJA Young Hunter Pony Championships in September. 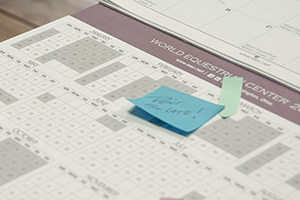 World Equestrian Center hosts a diverse group of equestrian events each year at our facilities. Equestrian sports are the only sports where men and women compete equally and they are very exciting for spectators. Below is a guide to what types of horse show events might attend at the World Equestrian Center horse show facility. Hunter divisions originate from the hunt field. Most of the judging and rules criteria originate from the tradition of fox hunting. 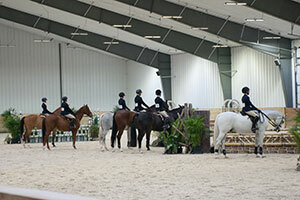 In the show arena, both the horse and rider are judged individually and as a team. 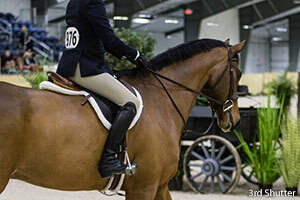 Horses are judged on a variety of points, including: hunting pace, style of jumping movement and manners. 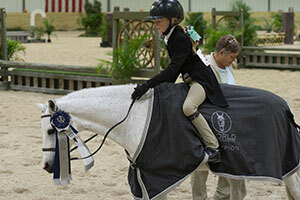 Horses in Hunter classes are stylishly presented with braided manes and tails. This is considered a throwback to the days in the hunt field when braids kept manes from getting tangled in the underbrush. The Hunter’s tack, or saddles and bridles, are generally brown and very simple. 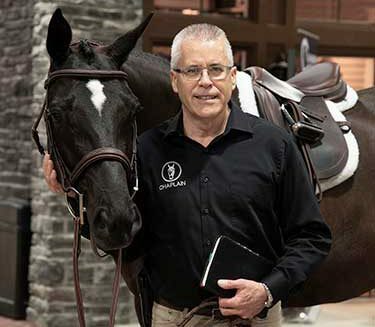 The rider’s clothing is another nod to tradition with tan breeches, white shirts and tall black leather boots. Tailored jackets are dark in color. Any embellishments in the Hunter ring are subtle. Riders are judged on their position and the ability to communicate and control their mount with invisible aids and their ability to execute the questions posed on course. While show Hunters have evolved in a unique way in the United States to become a uniquely American discipline, Jumping is truly an international sport. Aside from horse racing, Jumping is perhaps the most recognized equestrian sport in the World. Showjumping is an international equestrian sport based on the horse and rider negotiating a course of fences against the clock. It is a thrilling spectator sport, which tests the sheer power and speed of the equine athlete. Showjumping also showcases the incredible relationship and communication between horse and rider. In top competition, such as the Olympics, fence heights can reach up to 1.60 meters. Showjumping is based on an allotted time determined. Penalty points accrue when a horse knocks down a rail or refuses an element on course. The goal is to achieve a fast, ‘clean’ round, as each rail costs the pair four faults. If a horse refuses a jump or goes too slowly around the course, penalties with time faults affect their score. Two refusals or a fall of horse and rider on course will result in elimination. Riders ‘walk the course’ before the competition to count the number of strides between fences. Riders also create their strategy for the course. When more than one horse and rider combination goes clear in a showjumping competition, they qualify for the ‘Jump Off.’ The Jump Off consists of coming back to negotiate a shorter course in a compressed period of time. The Jump Off keeps spectators on the edge of their seats, while horses and riders go for broke and try for the win. To learn more about different horse breeds and the types of sanctioned equestrian events in the United States, please visit the United States Equestrian Federation. Spectators can also learn about the Hunter discipline and the sport of Jumping from the United States Hunter Jumper Association. The Western disciplines in the United States dominate the American Quarter Horse breed. Western disciplines include Pleasure, Trail and Halter, as well as Reining, Barrel Racing and Cutting. The World Equestrian Center facility is also the venue of choice for four of the nation’s top 10 Quarter Horse shows. These include The Madness in April, the AQHA Level I Championships in May and The Buckeye Youth and Buckeye Classic in July. These are shows that feature the Quarter Horse breed exclusively. Spectators can learn more about Quarter Horses and Western-style riding from the American Quarter Horse Association. Dressage is an elegant equestrian discipline defined as the art of riding and training a horse in a manner developing obedience, flexibility, and balance. Many refer to it as ballet on horseback. Due to their size and layout, the World Equestrian Center arenas perfectly suit Dressage horse event shows. In September 2017, two-time Olympic Gold Medalist Charlotte DuJardin of Great Britain gave an exclusive Dressage Master Class at the World Equestrian Center. Auditors at the event enjoyed a VIP experience that included exclusive shopping, fine dining and a meet and greet /autograph session with the Olympian. Spectators can learn more about the sport of Dressage by visiting the United States Dressage Federation. 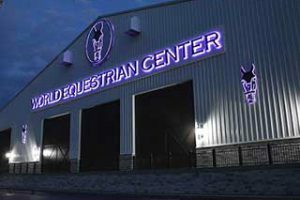 The World Equestrian Center Ohio facility also plays host each year to various breed organization and specialty horse show events such as the popular Tough Enough to Wear Pink horse show in September.